Upon cracking the spine, it does not take long for eye brows to raise. The main character is an unlikeable chap (That is far too kind - he's actually a racist, chauvinistic pig). Oh, and he rambles. And rambles. And rambles some more, somehow lengthening the otherwise quick 112 page read into a bit of a chore. At least he has a few occasional humorous lines. Perhaps more contradictory than out right funny, but there was some clever, dark wit. The story quickly dissolves into uncomfortable story lines of murder, sexual abuse, and teen suicide. Which, in the shadows of Mike Danton, Theo Fleury and Sheldon Kennedy, is fair enough. But it really does not have a lot to do with hockey. 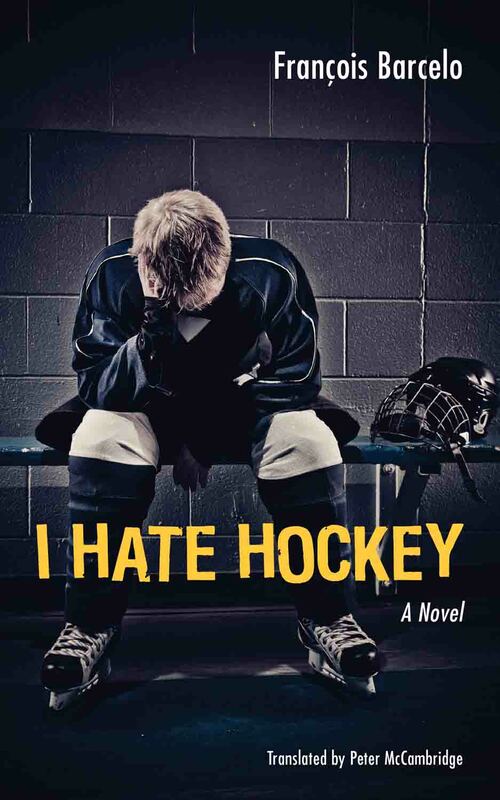 If you are looking for a novel about hockey, don't be intrigued by the words in the title. It really has little to do with hockey other than to serve to lure the prospective buyer's attention. Our main character has a lot of things going wrong in his life - lost his job, lost his wife, you know, the whole Quebecois country song idea. And he somehow blames it all on hockey, a sport he barely played, never watches and, if it wasn't for his son, he would never have anything to do with. Since I review hockey books, I will withhold judgement on this short novel. Not being much of a fiction reader, this book reminds me a lot of the stories we had to read in high school English class. I know this is a critically acclaimed piece of literature. But I don't really know why.